The hotly-anticipated sequel to The Devil Wears Prada - the million copy bestseller that took the world by storm Everything's in place for the season's hottest launch: Tall latte (with two raw sugars)? Check. Gucci trench (draped over desk)? Check. Outrageous, unreasonable demands? Check. Andy has just turned thirty and is an incredibly successful magazine editor, working closely with her best friend Emily, another Runway survivor. She's about to get married - life's on track and she's been careful to stay clear of Miranda Priestly, her dreadful first boss. But Andy's luck is running out. Miranda Priestly isn't the kind of woman who hides in the background. She's back... and more devilish than ever. 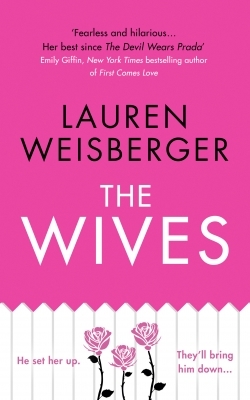 Lauren Weisberger is the author of The Devil Wears Prada, which spent more than a year on the New York Times hardcover and paperback bestseller lists, and became a huge success as a film. Her other novels have also been bestsellers. She lives in New York City with her family.